''We are aware much of the success of post-German re-construction was done by migrants and we expect that in moving forward Germany will treat migrants humanely,'' he said. ''We have a duty to make things work for our youth, let's modernize agriculture to attract the youth,” he added. He however noted that with the requisite skills acquired through education “they would not have to risk drowning in the Mediterranean sea, they would be headhunted and treated with dignity…Let's make things better for our people especially our youth so they stay here and work to develop the continent,” he added. 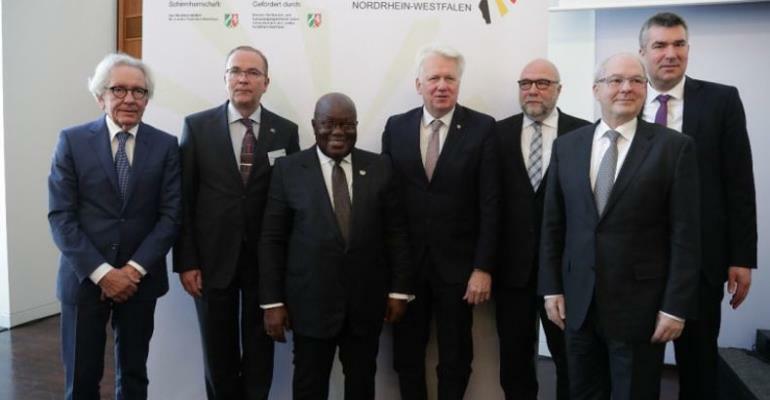 Nana Akufo-Addo vowed last November to reverse the trend of illegal migration from Ghana by building a sound economy with opportunities for all. The trend, he bemoaned, was increasingly becoming a national security concern hence the resolve to work towards ending same. President Akufo-Addo, speaking in an address at Cambridge University in the United Kingdom, said his administration was on the way to providing these economic conditions to stem the tide of illegal migration, and transforming the structure of the economy will be key to this.